After long winter months dreaming about the wonders of growing my own food, I have finally completed my edible landscaping project. Where nothing but a useless lawn, more brown than green, has been taking up space, I now have a beautiful dry river bed snaking between two vegetable and herb beds in full sun. 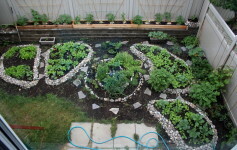 And in the back yard, there are three layers of planting spaces with raised beds, herb spiral, and trellises. 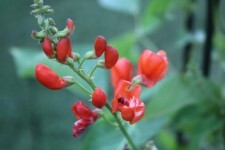 I now spend most evenings outside, grounded in taking care of the plants and reveling in all their splendour. Come along, I’ll show you around. 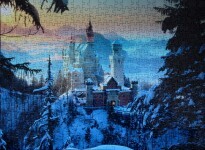 Another beautiful rendition of Neuschwanstein Castle, this one has a magical feel to it, with the sky in sunset colours and grounds sleeping under the snow. 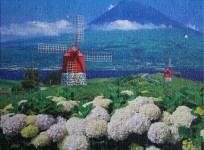 Lovely festive puzzle with clusters of bright white, red, yellow flowers, a pond reflecting a bright blue sky, a castle in the background and a wall of green on the right. Fun and bright, pleasure to assemble. 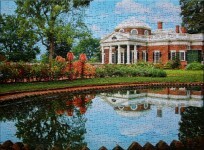 Vibrant, uplifting puzzle with blue skies, green trees, bright flowers, and a stately manor reflecting in a pond. Pleasure to assemble. 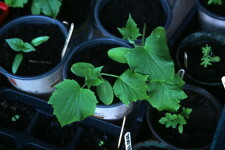 This week I take the first steps to start the garden, and it’s exciting as ever, since we have a new space to shape. I have met with Gavin from Edible Landscaping Ottawa to help us figure out what is feasible to do in our space, with considerations of sustainability, cost, and aesthetics, using permaculture principles wherever possible to maximize the food-growing potential. 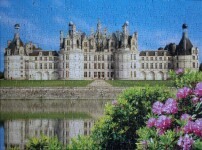 This puzzle is another view of the beautiful Chambord Château. 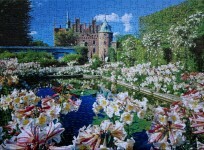 I have previously assembled another 1000 piece puzzle of this magnificent castle. I love puzzles where buildings reflect in the water, resulting in a mirror effect and the subtle difference in texture between the actual building and its reflection. Beautiful, sunny, uplifting picture to get immersed in. 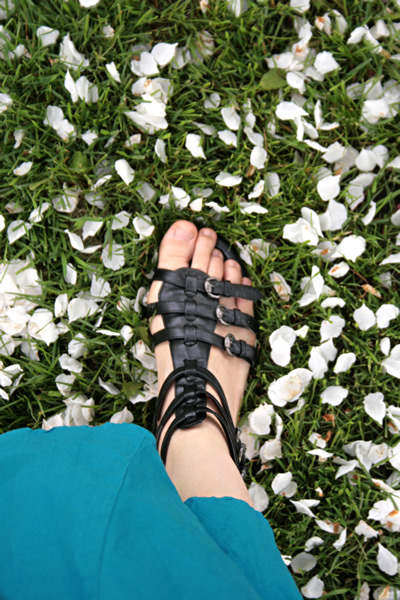 It has been a while since I have posted on the blog, and for a good reason: life has been quite a whirlwind. In the meantime, I have not stopped assembling puzzles, working on birth-related initiatives and honing my time management skills. 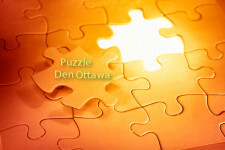 I’m planning to get back to posting puzzles and productive zen tips again, as well as take you on the journey of our front yard’s edible landscaping project, so stay tuned. Windmills always seem somewhat magical to me – an image from a quiet pastoral fantasy, drowning in luscious flowers, with bottomless blue skies. 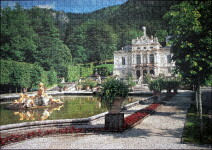 This puzzle is quite simple due to clear transitions and small number of pieces. I loved letting my mind wander in in its clouds and fields. 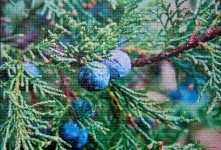 Lovely holiday puzzle, with green juniper branches and blue tree decorations. 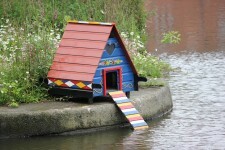 More tricky than it seems, even with its small size. Makes for a beautiful picture. Good puzzle to leisurely put together, even with so many pieces missing (I got it second-hand, and I think this is the most incomplete puzzle I’ve ever assembled). Through all the frenzy and encouragement from the outside to shop-shop-shop, take a deep breath. 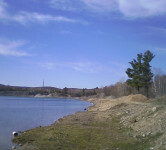 Think of what you truly need and what your family would enjoy. Appreciate the opportunity to cherish beautiful items and support people in your community. Anticipate the joy of sharing the gifts with your loved ones. Black Friday Specials at the Veddma Creations Etsy store, Friday to Monday ONLY! 20% OFF all purchases AND Buy-one-get-one-FREE deal on Blessingway beads, pregnancy tracking necklaces, and keychains! PLUS a FREE pregnancy tracking necklace for all orders over $99 – that is a $47 value! 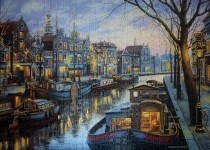 Lovely city waterfront view with old buildings, bare trees, lanterns and lit windows, and the calm waters of the canal. A serene and relaxing puzzle. Beautiful yet non-trivial puzzle, due to very few distinct colours, lots of slight shade variations and repetitive patterns. 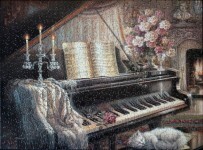 This puzzle is good for contemplation time and can be stretched across multiple evenings.